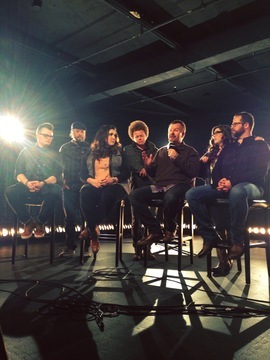 Nashville, Tenn. (February 11, 2014) – Multi-platinum selling group, Casting Crowns continues to bring THRIVE to life, wrapping up a month of visits and giving back to fans across the country. Accompanying the recent release of the group's seventh studio record (THRIVE), which debuted in the Top 10 on the Billboard Top 200 Chart, comes Mark Hall's newest book on Zondervan, "Thrive - Digging Deep, Reaching Out" available today, February 11. This is Hall's fourth book to date and discusses the critical inner challenge that we are meant to more than just survive life - we are called to thrive. Each chapter threads together this impactful message, adding Hall's signature style of weaving stories with powerful tools for application. Rick & Bubba and more. Also adding to the momentum of 'THRIVE,' several members of the band surprised shoppers at local retailers with a copy of the new record. Billboard and FOX Radio. 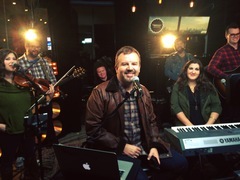 Wrapping up their NYC run, Casting Crowns made their national television debut of their song "Thrive" on the highly rated morning show, "FOX & Friends." "Thrive" and "House of Their Dreams"
"Consider Mark Hall’s book a dependable resource to inspire a well-rooted, far-reaching growth spurt among students." "The book gives stories and testimonies from the young people Hall pastors, and gives examples of how the principles set out in the book can be applied to real life situations...It's an important message, and one that is delivered with grace and humility." 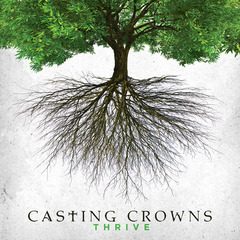 "Casting Crowns lead singer Mark Hall is delivering up plenty for your mind to reflect on...you’ll hear words of wisdom from Hall’s experience and a depth of theological encouragement for your soul."